Christmas 2017 was a bumper one for Nintendo, with the Switch - and its software - selling impressively. 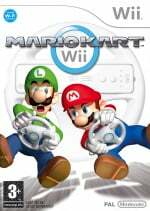 However, it would seem that older Nintendo games have benefited from the increased exposure, as Mario Kart Wii - which is almost a decade old - made Amazon's top 100 video game best seller list in the US. It placed 83rd, which is hardly what you'd call a storming performance but not bad going for such an old title. What caused this sudden jump in sales? Part of us wants to think it was all down to good old nostalgia, but we wonder if some parents, having seen commercials on TV for Mario Kart 8 Deluxe and having been badgered by their offspring for the "new Mario Kart" may have purchased the wrong game. Gulp. Out sold Oculus Rift? NICE! Sold mine a few months back for a decent price. There's definitely plenty of demand for it. Great game needs a HD remake ? There are still people out there playing Wii (probably Just Dance fans). My cousin was asking me just last week why he can’t find Wii games anywhere. I told him the good news about Switch and to accept it in his life today! Glad to see that not all of the millions of Wii consoles live in the attic. A console wants to be played. And Mario Kart never gets old. By the way, Mario Kart Wii is the perfect Mario Kart for young children. @Octane @Pluto14 It is bizarre, since there is a official Nintendo Selects Edition for 29,99 EUR, at least in Europe. 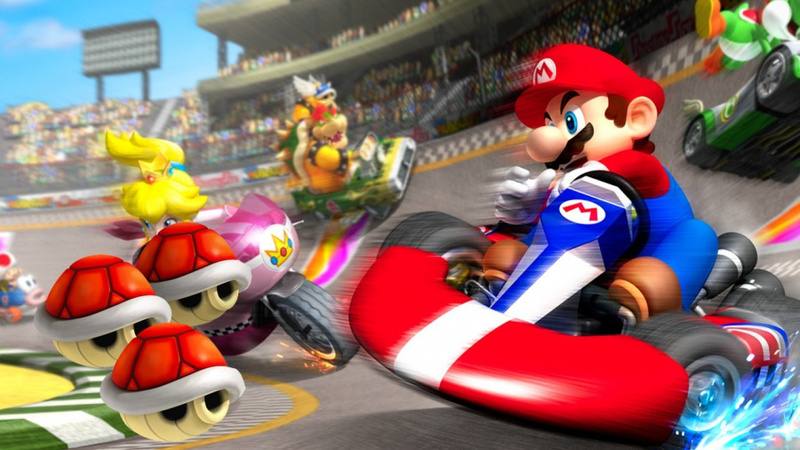 For me Mario kart Wii was more fun than Mario kart 8. Not necessarily my favourite Mario Kart but it's probably the one I put the most time into. I was in CEX the other day and a mum bought it for her young son. I thought it was very strange but I can see the appeal for young children (having been quite young myself when it first released). Lol... I brought this up the other day. This is why you get your evergreen titles out as early as possible. They'll sell all generation long, and then some. It's almost as if Switch is the Wii's successor. @JaxonH Maybe some people really think so.. The WiiU was just a tablet for the Wii console.. It's sitting at about 35 million copies sold by now, right? @Pluto14 It's up to Amazon to lower this price not Nintendo. It can be got for £10-15 in stores in the Uk so it's not like $39.50 is a required price set by Nintendo or anything. Doesn't surprise me I bought my sister Just Dance 2018 Wii for Christmas. There are a lot of Wii's in casual gamers homes. Sudden Jump? I am not surprised at all. I still see this game and other new first party Wii games sold at stores everyday. Anyway, It is easily my favorite Mario Kart. My absolute favorite Mario Kart!!! First time I got to drive with motion controls. Have not looked back since. ^_^ Very fond memories of playing this game with my brother, father, best friends, and nephews and nieces. My Wii is still under the telly. I'm playing Xenoblade Chronicles and there's plenty games I've yet to get through. It's great for Game Cube and Virtual Console too. I think some dumb parents thought it's MarioKart 8 for Switch and bought it for their kids with the new console. Imagine the kid's face during Xmas morning when they opened the present. I'm not too surprised. It may be an older game, but it's still great and one of the best Mario Karts, in my opinion. Happy to see it still selling! Ill-informed mom and dad trying to get "Mario Kart" for their kid perhaps? Lol, its the best Mariokart by the way! Retailers phased out Wii games? @10-zx Yeah I’ve seen plenty of Wii games at Gamestop and WalMart, maybe he just wasn’t looking in the right places. I wouldn’t be surprised if they outlasted Wii U games on store shelves! Wow, can't believe it's almost 10 years old! To be in the top 100 after all this time is quite remarkable considering the huge amount of material out there. I am pretty sure the online has been long Switch off (see what I did there). This game along with my wii have now been permanently stored away in the attic. Those great memories will last, however. Tell me about it. I'd rather get blown up than shrunk. Although I think the Coin item took its place in the newer games. Whether it's upon getting the Thunder Cloud or the Coin, everyone just utters "ugh" when they get either. Although, the difference is that one of them doesn't screw you over. It also happens to be the most unbalanced. The only other "game" more chaotic is Baby Park in Mario Kart Double Dash!!. Bowser shells. Bowser shells everywhere. Maybe, but I still loved it. I liked the motion-controls, the bikes and the tricks (bikes and tricks where introduced in this title). It is the only Mariokart to date that did have a proper online leaderboard, and you could do wheelies with your bike that gave you a speedboost! I find it incredibly likely that some parents bought the wrong one cause it was cheap. So do I. Grew up with it. Actually no, you know what? Mario Kart 8 is leagues ahead of Mario Kart Wii in terms of being unbalanced. That's because instead of the 'place' system where every other game decides what item to give you based on your place, Mario Kart 8 decides what item to give you based on the 1st place guy's position. You can get Crazy Eights in second place in that game!